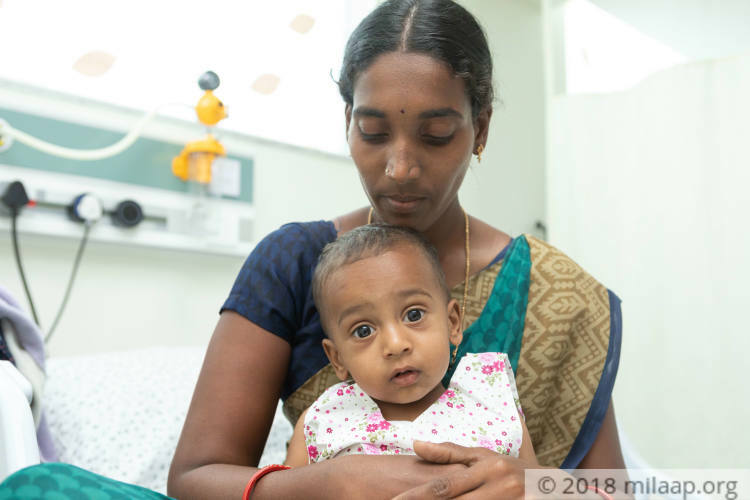 “I starve daily to feed my baby, but he is unable to swallow even small bits of food and when he does he immediately throws up. It has been more than a week that he hadn't slept, he cries restlessly with pain. But all that I am able to do is helplessly watch him suffer in pain. I fear that this infection might soon take his life.” Madhavi, Boushik’s mother. 1-year-old Boushik suffered bone infection after 8 months of his birth. 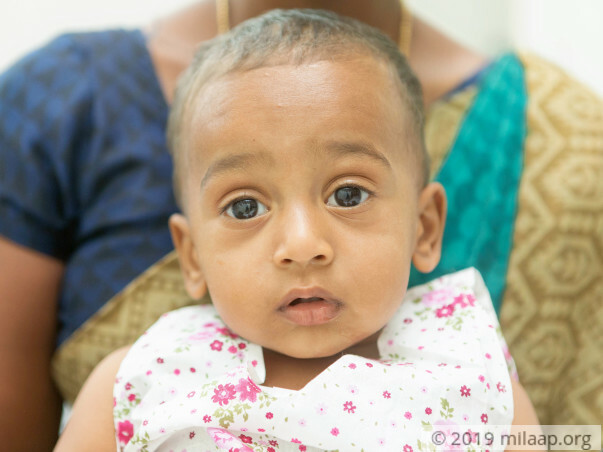 His parents have saved him from the near death with all their might and strength. They were happy to see their son in good health and play normally like other children. Unfortunately, the hapless fate returned with a cruel blow to this family. He was diagnosed with the same infection again after 5 months of his first surgery. “Our son used to make tiny attempts to stand and walk after he was cured, my husband and I were overjoyed. But we noticed that his right leg was swollen and we thought it must have been caused by an insect bite. But during the regular checkup at the hospital, our worst nightmares came true. He was again suffering from the same infection. The thought of his tiny body going through the horrible pain again is unbearable,” said Madhavi with teary eyes. Boushik was diagnosed with Osteomyelitis, a bone infection which can spread all over the body through blood. This 1-year-old has the infection in his right knee and needs to undergo a knee surgery immediately. The delay in the treatment has already started to affect Boushik’s life. The dangerous infection has started to spread everywhere. He may not be able to walk at all. “My son inconsolably cries because of pain throughout the night and hardly sleeps during the day. Due to frequent vomiting, he stopped eating. At times, he is too weak to make a sound so he silently shed tears. It is painful to see him going through so much of pain. He can't even express it. I am beginning to see how my baby is being consumed by this deadly infection,” - Madhavi. Madhavi and Rajeshwar are farmers in Krishnajiwadi Village who earn Rs 4000 a month each. They have exhausted all the money to save their son. 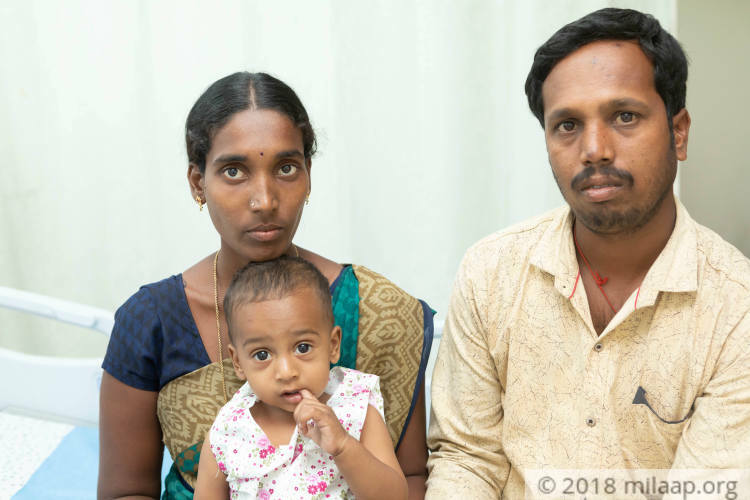 They have nearly spent Rs 3 lakh for their son’s first surgery and now they are struggling to even have a meal a day. “We are trying to do everything that is possible in our hands. My husband knocks every door looking for money, but he returns hopeless at night. All I am left with is prayers. Please help my son from this infection,” - Madhavi. 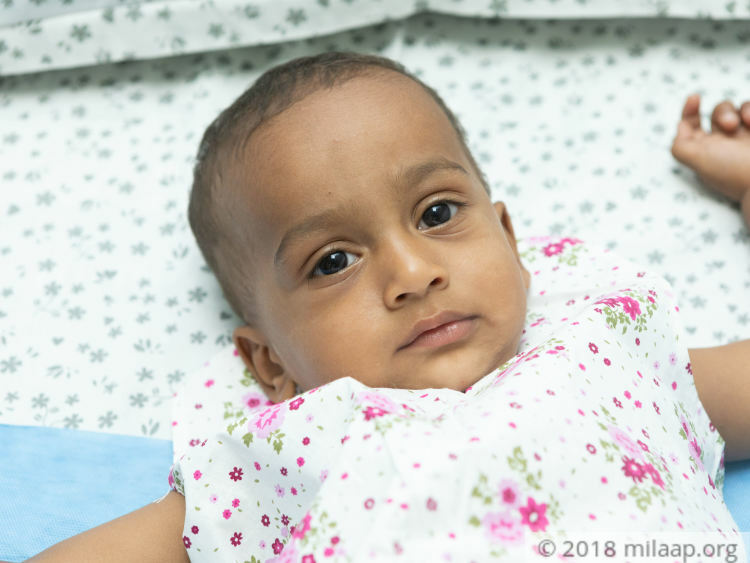 1-year-old is suffering from a bone infection that is spreading throughout his body, without an immediate knee surgery his condition will become more critical and he may never be able to walk. This farmer’s family who needs Rs 1,44,500 is completely dependent on crowdfunding to save their son. Boushik successfully underwent the surgery and is at home now. He is now on medication and the doctors are observing him closely for any irregularities. An appointment is scheduled in another 15 days for the same. Thank you everyone for your love. Get well soon, Master !! !